In this rough economy everyone is trying to find ways to control their budget. One of the easiest ways to save money is to reduce your electric use and while you save money on your bill your also helping save the environment. It's a win win situation! 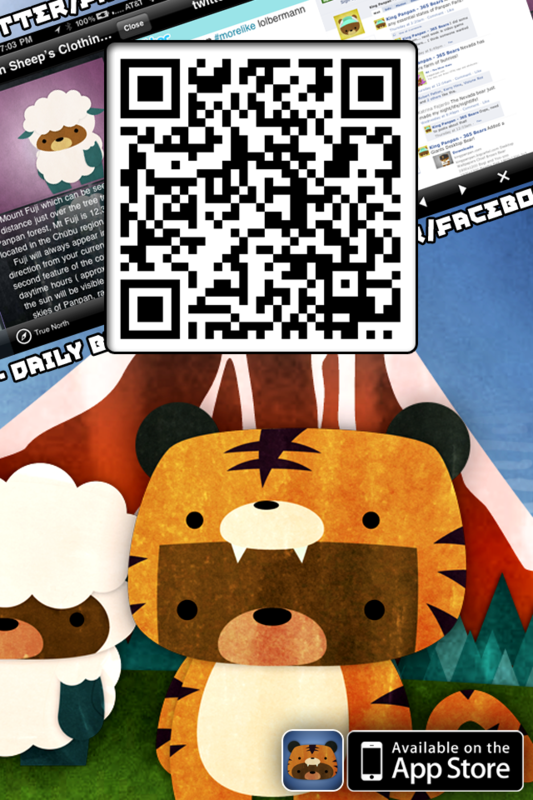 "100 iPhone Apps For Green Shopping, Eating, Travel and Fun." 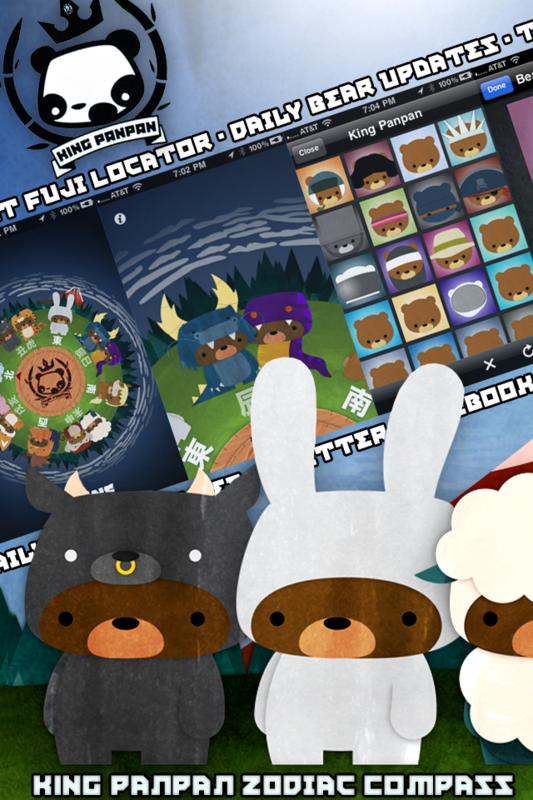 "One of our favorite green iPhone apps." Green Outlet can also be seen in five different Apple iPhone TV Ads! Green Outlet helps you identify which of your household appliances are costing you the most to run so you can make informed decisions about your electric use. By selecting the types of appliances you use in your home and entering how many hours of use per day for each green outlet will predict what your electric bill will be for the month. 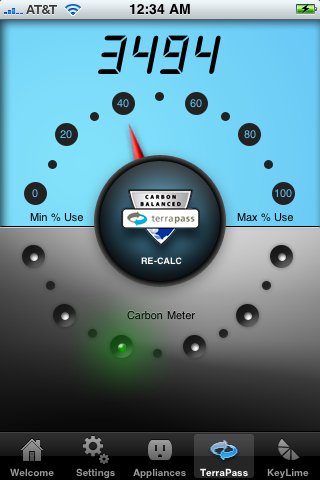 While adding up the financial cost of your appliance use GO also adds up your household Carbon Footprint. Green Outlet even alerts you when you have exceeded "Recommended Carbon Usage" based on US Government Guidelines. GO proudly links to TerraPass.com for your Carbon Offset needs. When you buy a carbon offset from TerraPass, your money supports clean energy and other projects that reduce greenhouse gas emissions. TerraPass offset portfolios consist of a mix of clean energy, farm power and landfill gas capture. If you want to decide the quantities of these projects yourself, you can build your own portfolio. • Now saves all of your Appliance and User Data live. • Now you can set appliances that run a few days a month. 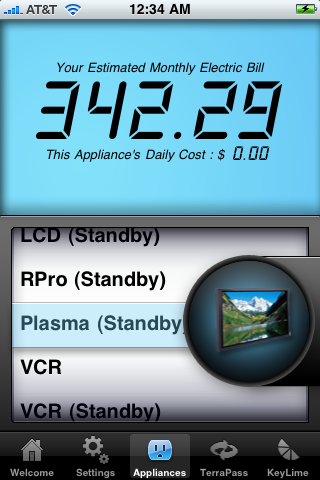 • Now you can set appliances that run a few minutes a day. • Now includes full detailed Instructions. 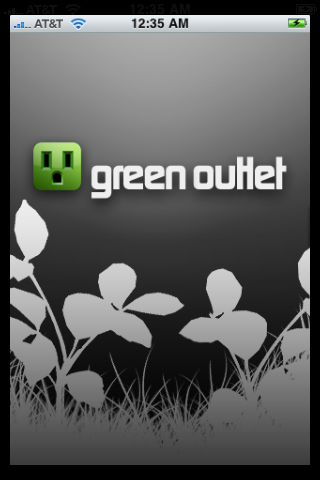 Please consider leaving a review for the new and improved Green Outlet.